If you’ve ever browsed an e-commerce site you’ve likely seen the image zooming effect. You hover a product photo and that part of the image magnifies for a clearer view. The ZooMove plugin is a great way to replicate this effect on your site. It’s powered by jQuery, so you can get this up & running quickly without much code. ZooMove is completely free and open source, available on GitHub for any curious developers. It can be installed through npm, Bower, Yarn, or downloaded directly from CDNJS. 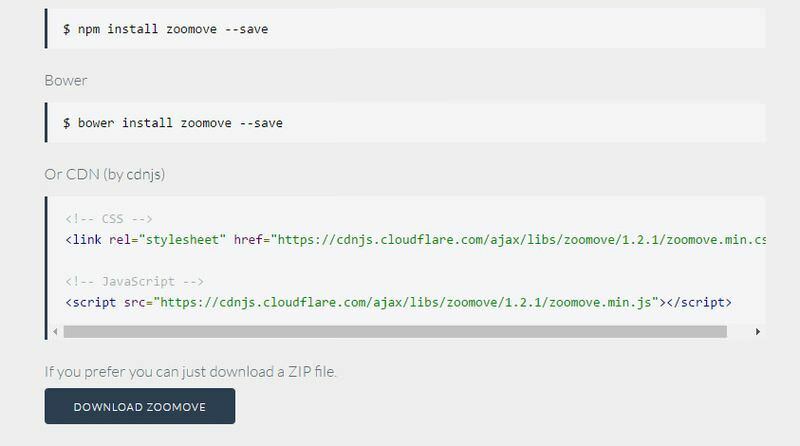 Both ZooMove files can be minified if you want faster page loads. You could also combine the CSS file into your main stylesheet if that’s easier. All the real magic happens in the HTML where you can set HTML5 data-* attributes for the different effects. 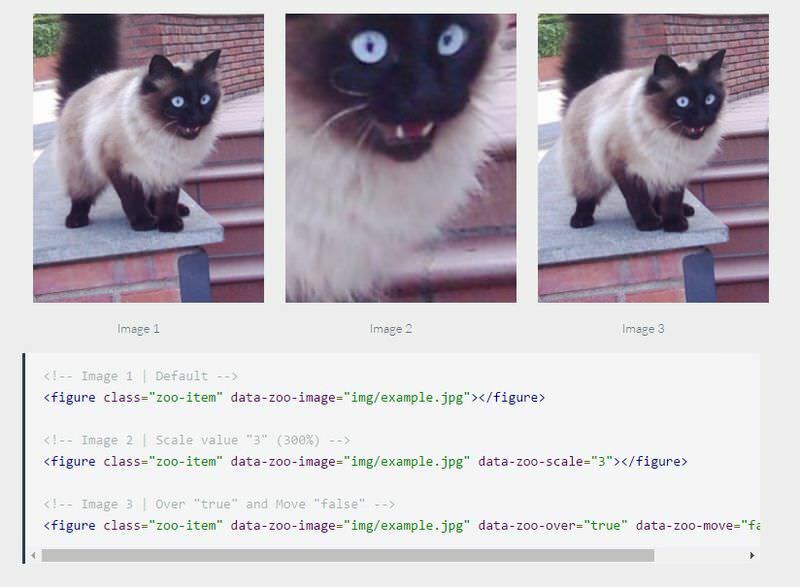 A final fifth parameter lets you define what the new image URL should be (if needed). You can use ZooMove in all major browsers, including IE9+. This plugin is widely supported and it offers one heck of a user experience. If you’re looking for a simple hover-to-zoom library ZooMove is an excellent choice. It’s lightweight enough to run on any website and it’s powered by jQuery, so you won’t need to write as much code to get it working. Visit the main page to see it in action and check out the documentation on GitHub to learn more.